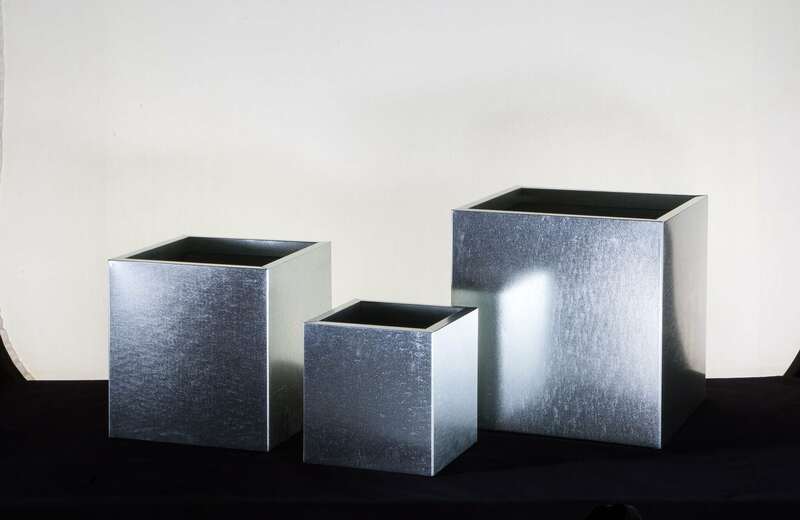 Offering great value for money, these galvanised steel planters are available in three sizes (three hundred, four hundred and five hundred millimetre cubes) and with or without drainage holes for indoor or outdoor use. Bright and shiny when bought, they will in time weather and settle into your garden like old friends. Perfect for any plant, and a welcome addition to any garden. Galvanised steel planters are flexible and durable, and as such have become a favourite of garden designers. 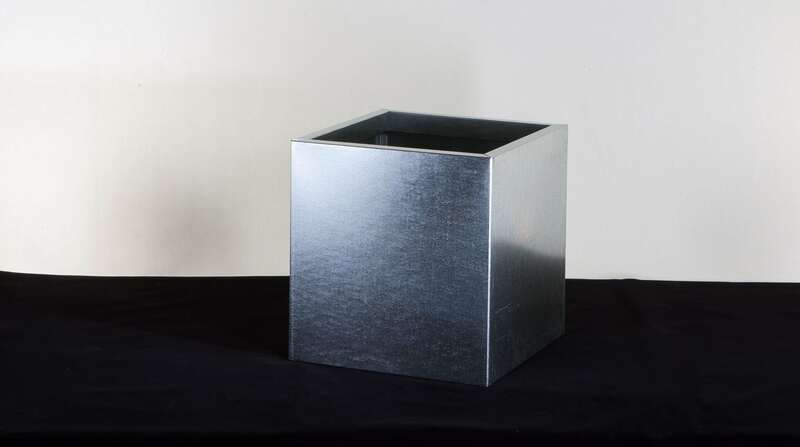 The steel is coated with a thin layer of zinc through the ‘galvanising’ process, making these metal planters resistant to rust and corrosion. This gives your planter a durability and length of use unlike many other materials on the market. 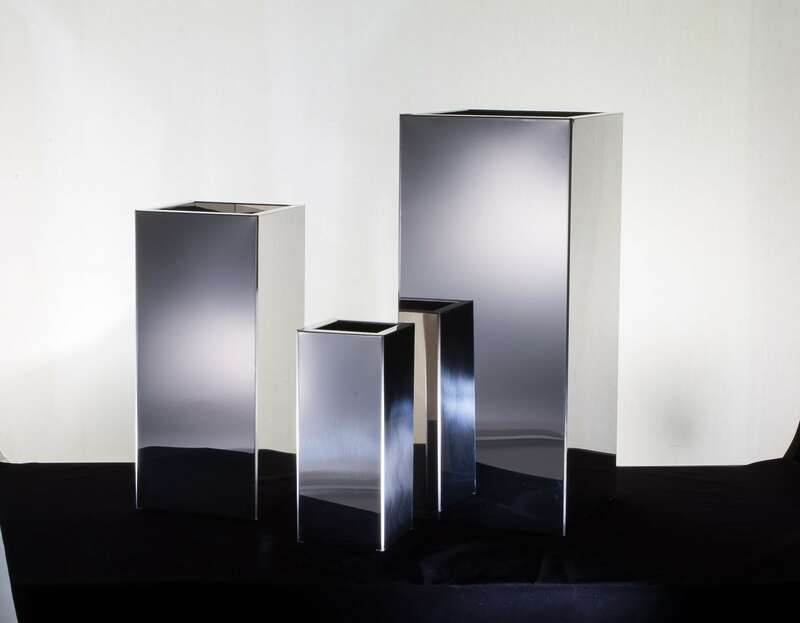 All our planters are fabricated using the same processes with the same care and attention to detail and when using a high quality material such as stainless steel, you can be sure that your planter will stand out from the rest. 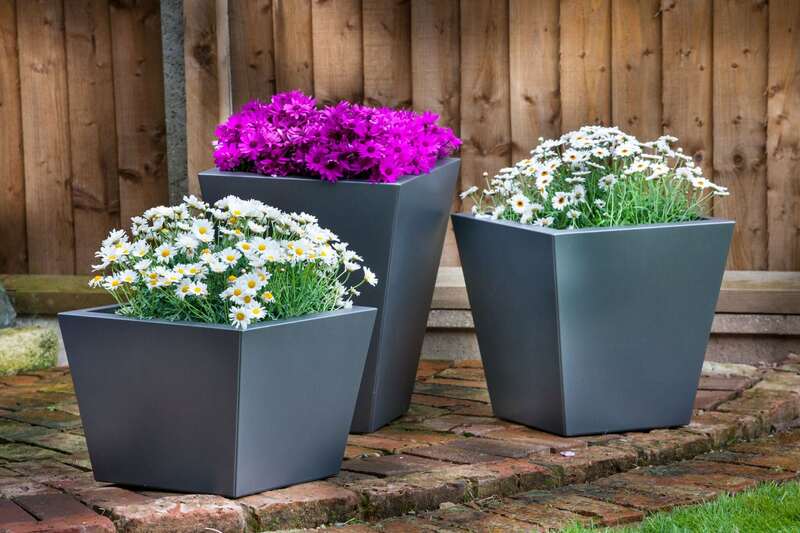 As the galvanised material is relatively light, galvanised steel planters are ideally suited for use on balconies or roof gardens, where weight can be an issue – you can easily form an attractive display in a high or small space. However, these planters are extremely versatile and also fit particularly well in car showrooms, where they compliment the location perfectly!